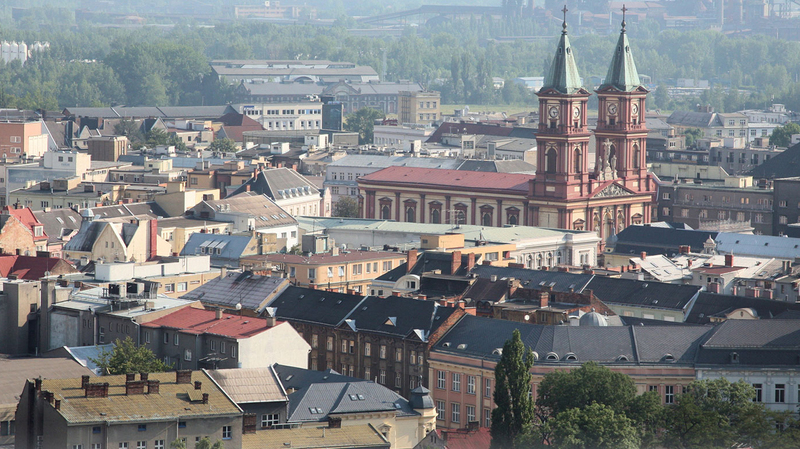 Search for the best flight prices from Stansted to Ostrava. Compare prices, book today and save money with Stansted Airport. Happily hidden away from the heavily-trodden tourist trail Ostrava is the perfect way to get to know the rich and creative culture of the Czech people. This bustling city offers excellent value for money on everything from quirky and opulent accommodation to the handmade crafts created by local artisans. With an exciting range of fantastic museums, exhibitions and even an underground fairy-tale theme park, Ostrava is the perfect getaway for children and adults alike. A slice of the Czech Republic away from the tourist hordes, Ostrava is a bustling city with a history that stretches back to the trading routes of the ancient 'Amber Road'. The city centre is the place to start an accommodation hunt, whatever your budget. Brioni Suites (Stodolní 876/8) has massive rooms decorated in a quirky mix of traditional and contemporary, all boasting ultra-modern bathrooms, while Mercure Ostrava Center Hotel (Českobratrská 18/1742) hides swish business-class rooms behind its stately facade. For something cosier, try Hotel Na Kafkové (Kafkova 1380/15). The best place in Ostrava to begin a search for typically Czech crafts such as handmade puppets and Bohemian glassware is on lively Stoldolní Street, right in the centre of town. If you're looking for quality products, don't forget to take a peek in Bat’a department store (Masarykovo náměstí 24/13) which stocks a wide range of traditional Czech glassware. For a look at what's happening in young Czech fashion and style, the place to head is Futurum shopping centre (Novinářská 6A). Off the typical tourist trail, Ostrava is a great place to dig into authentic Czech cuisine. One of the top spots to sample classic dishes such as knedlíky (dumplings), česnečka (garlic soup) and guláš (stew) is Moravská Chalupa (Musorgského 9). If you're here during summer, don't miss eating at Stará Kuželna (Na Baranovci 5) with its lovely outdoor garden setting. For fine dining and international flavours, as well as an evening of sampling the beers from the restaurant's own microbrewery, head to the Zámek Zábřeh hotel and restaurant (Zamku 42). The best area for nightlife is along, and around, Stodolní Street. Dlouhá 100ry (Nádražní 18) is a cosy cocktail bar to start an evening on the town. Ostrava Castle is the venue for this traditional annual event which includes a family-friendly fair as well as the main event, a 'witch burning' bonfire at the end of the evening. Going strong since 1961, this internationally regarded athletics meet attracts some of the world's best athletes. Worldwide stars of track and field such as Usain Bolt have participated in the competition in the past. International Music Festival May-June The city's oldest music festival puts on a crammed programme of performances each year that spans the entire musical spectrum from opera to rock and chamber music to jazz. Well-known musicians from around the world travel to Ostrava to take part. This music festival is one of the country's biggest summer events. Rock, alternative and world music fans will be hugely impressed with the line-up of local and international bands. Concerts take place at various venues throughout the city with the headline acts playing at Ostrava Castle. This long-running celebration of folk heritage features performances by folk groups from the region and across the Czech Republic, as well as folk dance troupes from around the world.